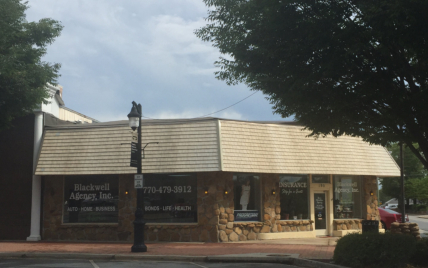 Blackwell Agency, Inc. has been a family owned AND operated agency in downtown Canton since 1983. The agency was owned by Wynell & Bob Blackwell for 30 years and is now solely owned by their daughter, Susan Blackwell Kea. Blackwell Agency, Inc. is proud to be "Your Hometown Agency" in Cherokee County, while serving all of Georgia. We are independent agents, representing many fine competitive companies from which to choose. As independent agents, we are able to shop for the right insurance company for you and your finances. Our number one goal is to provide the best in personal service to each of our customers. Susan's philosophy and goals have not changed from those of her parents. We still strive to offer the personal service to those who desire insurance and financial direction. We work together with you to find the right fit for your insurance needs and offer competitive pricing to fit your budget. We are now licensed to do business in all of Georgia, Tennessee & North Carolina.